Berroco Portfolio Vol. 4 Patterns - Hartland Slipper Socks - PDF DOWNLOAD is a similar pattern: 20 (5 sts. / inch) finished gauge, socks and footwear garment, for women, and worsted (19-20 sts/4 in) yarn gauge. You may also like Shibui Knits FW17 Collection Patterns - Zona - PDF DOWNLOAD, which is another similar pattern: 20 (5 sts. / inch) finished gauge, for women, and worsted (19-20 sts/4 in) yarn gauge. 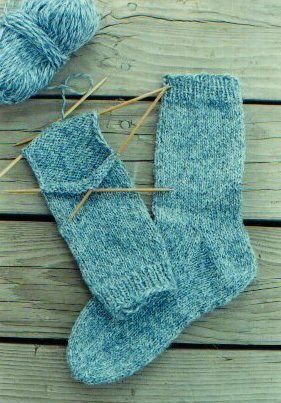 You may enjoy taking a look at the , and Knitting Pure and Simple #216 Beginner's Lightweight Socks kits all using Knitting Pure and Simple Sock Patterns. Hopefully our suggested yarn options for 9728 - Beginner Socks for Women can help you come up with your next exciting new project idea!